May 19th marks what would’ve been the 84th birthday of an extraordinary writer that was taken from us way too soon. 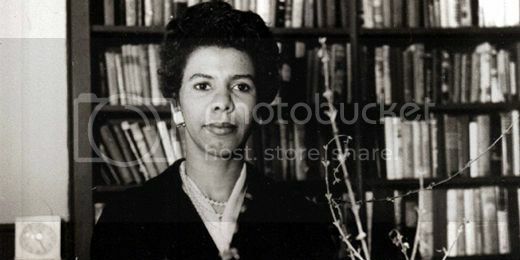 Lorraine Hansberry, the first black woman to have a play grace the Broadway stage, is widely known for her contribution to African-American culture during the 20th century. Her work helped call attention to the social inequality and economic ills looming over blacks’ shoulders at the time. Hansberry’s masterpiece, A Raisin in the Sun, struck a nerve in American society after its debut in 1959. The title was inspired by Langston Hughes’s poem called “A Dream Deferred” and signifies the result of dreams never manifested by black Americans who struggled under the shadow of racial segregation. The play was an instant success and catapulted Hansberry into literary stardom. She received the New York Drama Critics Circle Award which had never been won by a playwright from the United States and had only been given to four other women before her. The timing for Hansberry’s play was excellent because of the overt racism that ran thick in America’s veins. On the cusp of the 1960’s, it was evident that the existing structure condoning white supremacy was on the verge of crumbling, and Hansberry was clearly one of the catalysts for change. Although there’s decades between the premiering of A Raisin in the Sun and present times, there’s no doubt that the play still speaks to the black community on many levels. Check out why it remains a timeless tale today. One of the reasons A Raisin in the Sun has lasted the test of time is because it’s a testament of the creator’s personal story and shows how the intersection of community activism and the arts can initiate change, particularly in underserved communities. As a social activist, Hansberry worked closely with several influential voices, like WEB DuBois and Paul Robeson, who used their fame to serve as a platform for civil rights involvement. She was a confidante of Nina Simone who’d later turn her unfinished play “To Be Young, Gifted & Black” into a cultural anthem. Coincidentally, she shared a birthday with Malcolm X who was assassinated just a little over a month after her death. A Raisin in the Sun wasn’t fictitious. Hansberry drew from her own family’s experiences in Chicago, depicting the miseries that preceded the Fair Housing Act when many African-American homeowners fought to retain their safety and dignity in white neighborhoods. The playwright witnessed firsthand how social injustice led to the deterioration of black households. Her aim was to reveal the internal impacts that were a direct result of the external happenings. Exceptional plays need exceptional actors. Over the years, Hansberry’s brainchild has been blessed to have extremely talented performers breathe life into the roles of its characters. Without the support of black literary, thespian, and film communities, A Raisin in the Sun surely wouldn’t have made it past its legendary premiere on Broadway. The original cast was filled with leading artists, such as Ruby Dee, Sidney Poitier, Claudia McNeil, Glynn Turman, and John Fiedler. Since its debut, the play has been adapted into a film which featured the same cast, a musical, and a movie made for television. It has also inspired two Broadway revivals. Notable cast members for these editions include Danny Glover, Debbie Allen, Esther Rolle, Sean Combs, Phylicia Rashad, Denzel Washington, and Anika Noni Rose among others. The faces and scenarios have changed, but the script remains the same. Racism and sexism are still ongoing battles in the black community, although not as blatant in many cases. We all can attest to being, or knowing, Lenas, Ruths, Walters, Travises, and Karls. A Raisin in the Sun literally sets the stage for those who can relate to the unfortunate circumstances that regularly affect us. Hansberry continues to make us reassess black pride and the pursuit of happiness. She forces us to re-consider the lengths we’re willing to go in order to acquire the so-called American Dream which, ironically, is still not a reality for the majority of the African-American community. Like the end of the play, the future remains a web of uncertainty. Our only hope involves the willingness to keeping passing Hansberry’s message down to future generations and using brilliant works like these to inspire the societal transformation that we’ve been waiting for.